What does hotel design require from the point of the view of the designer? How does a designer’s role fit into the process? What exactly goes into creating a spa hotel, an art hotel, a hotel casino or boutique lodgings? In sum, it is about excelling in design by offering more than just hotel plan visualisation; it means being involved in shaping the whole project, not simply implementing the agreed strategy. 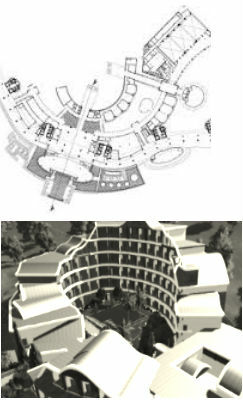 A top class designer will be more of a consultative force, thinking strategically and being able advise on implementing branding so as to keep in tune with the company’s key concepts, whether the project be the refurbishment of an existing hotel structure or conversion of a building being used for another purpose. The world’s best designers now agree that those working in the field should be decisive in encouraging the promotion of design values into the whole process; for example, by asking the question ‘does the design match the brand’s future aspirations?’ while at the same time, maintaining and improving the standards of the design industry as a whole. In order to be successful, today’s designer needs to constantly able adapt to new systems and methods. For instance, in an ever more competitive industry, committing, throughout the entire design process, to the overall message of the business or organisation and conveying this to clientele will mean having to look at how technology should be integrated or how to engage best with the local environment. The whole process needs to be assured and remain determined from beginning to end so that once the overall framework is set, space is used it the most constructive way and budgets are distributed correctly. The reception area and public spaces remain the key factor in creating the overall impression of the hotel and communal spaces are absolutely crucial to leaving guests with a favourable overall impression. This area, therefore, needs to be catered for perfectly as an absolute priority. Equally, the bedroom for the modern day discerning guest is no longer just a room to ‘crash’ and dump suitcases. Spending time in the allocated space needs to offer an overall positive experience too. 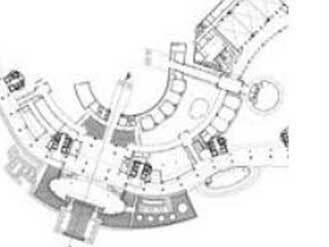 That being said, it is worth noting that design control must be in place at all times to avoid confusion or the appearance of whimsicalness and all spaces must be impactful, contributing to creating a seamless journey throughout the establishment for customers. The hotel industry is continually changing and looking at ways to best adapt to modern day travellers habits. Hotel operators are realising increasingly how important design has become as brand loyalty wanes and clients look continuously for new experiences. Our agency is resolute in keeping abreast of new trends and methods by carrying out research on a regular basis so that we can continue to offer a first class service to our clients.